Brooklyn world entertainment newest signee “Ciel” is a young talented female musician and songwriter, from Owerri. She started out as an afrosoul singer and recorded her first ever single titled “dope like that” in 2014. Later in 2015, she released another single titled “Adios” which sure began to prove that her style was evolving and has richness in African sounds. On the 11th of April 2018, she signed a recording deal with Brooklyn World Entertainment and she’s with LOVE ME which was produced by reflexsoundz. 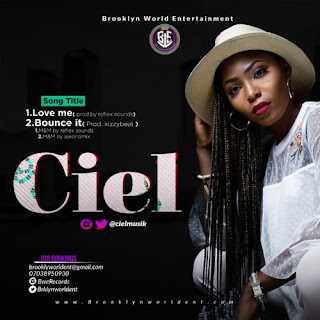 From the look of things, Ciel has come to stay and give other artistes a run for their money.